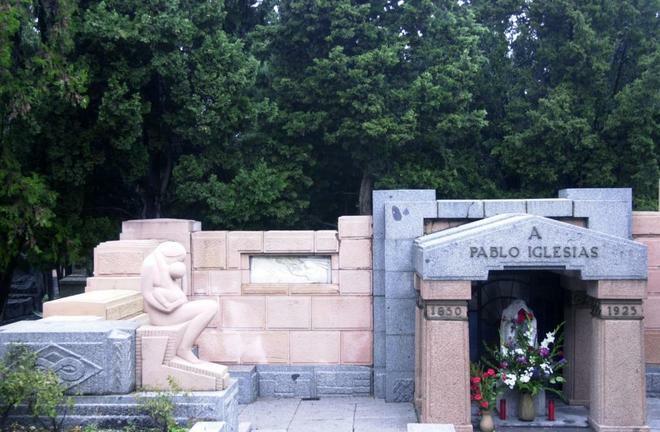 The tombs of the founder of the PSOE, Pablo Iglesias, and the former Communist Party leader Dolóres Ibárurri, known as La Pasionaria , in the civil cemetery of La Almudena, have been attacked with paint boats, according to police sources. Graffiti has also been produced in the Monument to the Fallen of the Blue Division, as reported by the municipal company that is responsible for the management of the cemetery. The desecration of graves is a crime punishable by imprisonment of three to five months or fines of six to ten months.